Cloudlands, he also released Sea Cathedrals solo on Silentes), and Elisa Marzorati. melancholy, this trio balances elements uncommon in ambient music. of the package. See below for sample audio clips in mp3 format. Samples are excellent, packaging is beautiful, Mike - just placed my order...look forward! Thanks for the comments, Darren... and the order. Hope you'll enjoy it, and if you do, please let us know. We've added OUT AND ABOUT to amazon.com so for those of you shopping there (though the discs will still be sent from here so it's probably advantageous for everyone if just order direct from our store...) the listing will be active soon. A fair number of people have purchased this, but I haven't heard any reaction yet. I know what _I_ think of it, but I'd love to read the responses of other listeners. Also, feel free to post reviews to the Amazon page for this one. It always helps to convince people to order it. Nice review of the new Herion album by Vital weekly. Also reviewed our last disc, Seren Ffordd's "Arhythmia"
I just posted a podcast that will be of interest to anyone who'd like to hear more of this album. Mike, thank you for the podcast and shame on me that I have been overlooking this release until now. 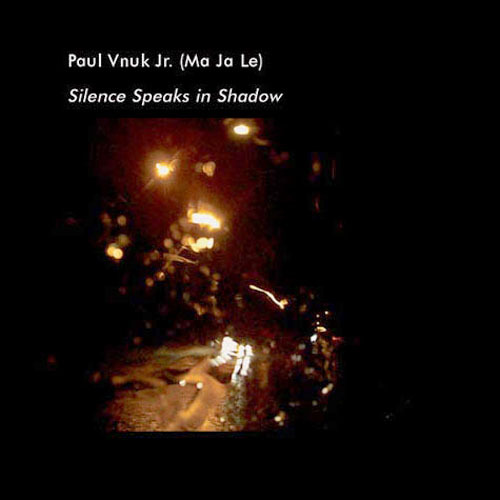 I only have to agree with yours and Paul's words, a really beautiful, tranquil and quite unique piece of music during these days within ambient genre (nice digipak too!!!). A very peaceful and graceful sonic journey to calm the mind. Definitely on my upcoming Hypnos shopping list!!! Yes, also Enrico's co-work with Oophoi, Aqua Dorsa was really exceptional piece of music. Mike, maybe you should think about bringing into Hypnos store few other Enrico's releases, most of them dedicated and influenced by the magical city of Venice and its lagoon. Much more eclectic than "Out and About" or "Cloudlands" for example, but worth of attention. In any case, thank you so much for releasing this wonderful album!!! For me, this is like "dreams came true" project, because it features Enrico Coniglio and Emanuele Errante who are resoponsible for some remarkable ambient solo albums released during the last few years, with some guest appearances of Elisa Marzorati, highly respected pianist. Now these three extremely talented musicians are teamed up in Herion project and landing on Hypnos. You can't go wrong with that, but I think this collaboration was as much exciting and challenging also for Hypnos as it marks new direction for this label thanks to Herion's ambient strongly influenced by classical music with the use of many acoustic instruments. Even if quite new territory to Hypnos, it fits more than perfectly to them. 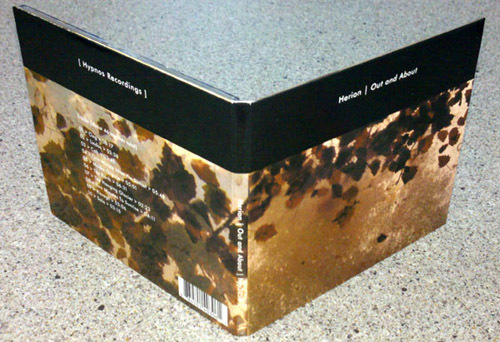 Thanks to virtuosity of all three members plus highly notable performance on viola by Piergabriele Mancuso, "Out And About" is absolutely beautiful, evocative, intimate and warm collection of compositions masterfully bridging filigree acoustics with gentle amount of electronics and field recordings. Perfectly crafted in every detail and even if quite minimalistic at times, always very expressive and effective in keeping the attention of each listener during the each of 46 minutes. The opening "Oxg" immediately elevates the album into untouchable heights and will never step down during the next 9 compositions. Absolutely splending mix of piano, viola, harmonica, melodica, rainstick with some synthesized sounds. Angelic beauty is not measurable, but it's certainly called "Oxg". Just the same could be said on melancholic "Lindos". Dreamy "Cab", "One Minute After The Sunset" and "The Earth" recall all your hidden memories while "Moske Orgulje" and "The Hanging Glacier" get more darker and tense. Cheerful "Two Minutes To Sunrise" and moody "Risvegli" and "Solo" close the album with all their tranquillity. 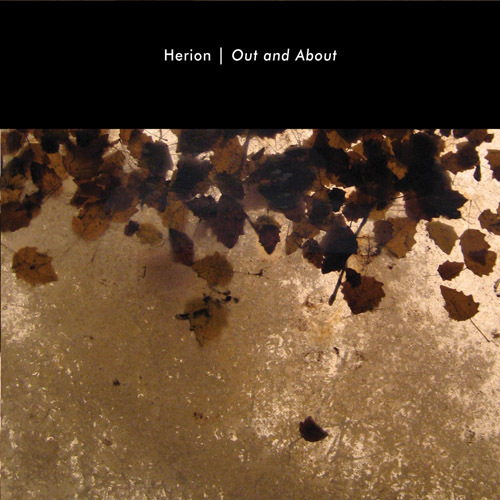 I already used a lot of superlatives, but I still don't get enough when listening to this sonic pleasure, Herion can be easily described after Suspended Memories as another "Ambient Supergroup" and Emanuele Errante, Enrico Coniglio and Elisa Marzorati are the rising stars of ambient genre and bringing some new fresh wind to it. A pure masterwork!!! My copy came in the mail Monday and I brought it to work, where it has practically been playing non-stop. It's "only" 46 minutes long, but seems to pass by in 20. I just keep starting it up again. 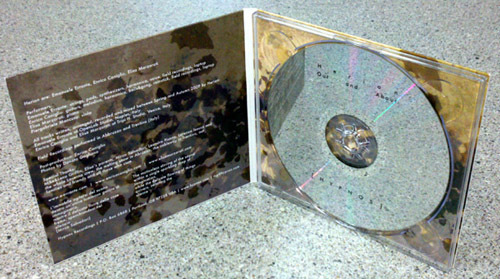 It's very "transparent" and maintains a consistent album "feel" without becoming repetitive. I think that Lynn will really like this one - but I'm reluctant to bring it home now. to be played again and again. Congratulations Mike & Lena. It's a SPINE! I noticed today that it is also available for download at emusic.com. It will be interesting to see how that works out for Hypnos. There have been several really nice reviews of this CD recently. Rather than flood them all in here, I'll direct people to the Out and About product page on the main Hypnos site. It's a great album, and it seems like just about everyone has had nice things to say about it once they've heard it. >> in simple terms, I freaking love this cd. Me too. It's part of my "as a loop" playing CDs.